Feel free to request indoor or patio seating, we will do our best to accommodate. 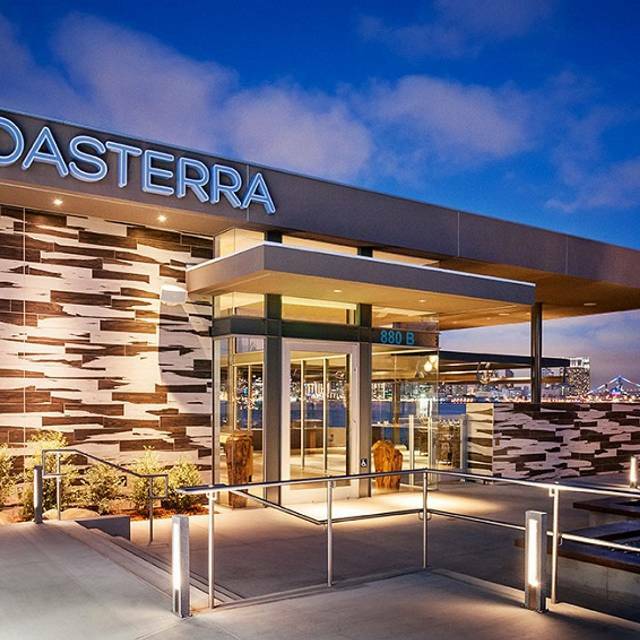 Coasterra makes parking simple with our personable valet service for both lunch & dinner. 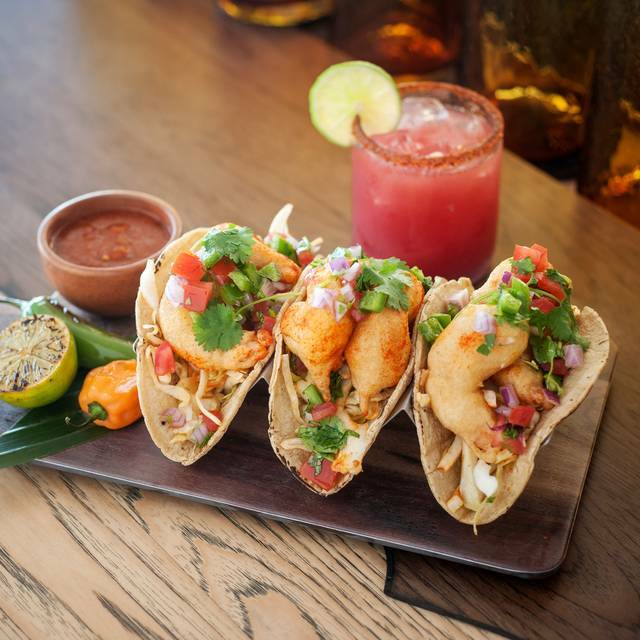 oasterra offers a modern Mexican regional cuisine from Executive Chef /Partner Deborah Scott. Every dining area offers spectacular skyline views of San Diego. 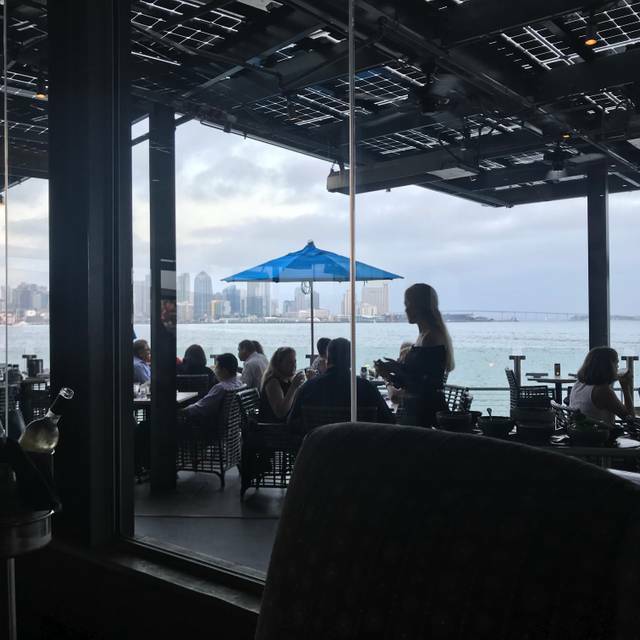 Come sit in our dining room with Floor to ceiling windows overlooking the bay, or dine alfresca while enjoying one of Chef Deborah"s favorite Coconut Margaritas! 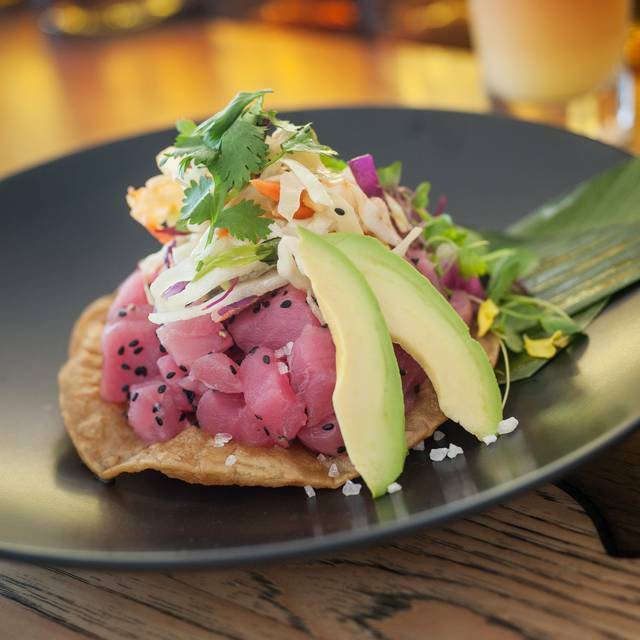 Coasterra offers a modern Mexican regional cuisine from Executive Chef /Partner Deborah Scott. Every dining area offers spectacular skyline views of San Diego. Come sit in our dining room with Floor to ceiling windows overlooking the bay, or dine alfresca while enjoying one of Chef Deborah"s favorite Coconut Margaritas! arugula & cilantro salad, green olive, orange, fried almond, mexican oregano vinaigrette, smoked eggplant "mole"
cilantro rice, fermented carrot, arugula, cilantro & pickled onion salad, habanero cashew "aioli"
Thank you for joining us for Mother's Day. Please enjoy the Brunch Buffet from 10:00am to 2:30pm for $69.95 per person. Kids 6-12 are $17.95, and under 6 are complementary. All reservations are made for outside. Feel free to request indoor or patio seating, we will do our best to accommodate. Thank you for joining us for Easter Champagne Brunch. Please enjoy the buffet from 10:00am to 2:30pm for $69.95 per person. Kids 6-12 are $17.95, and under 6 are complementary. All reservations are made for outside. Feel free to request indoor or patio seating, we will do our best accommodate. While I overall like the location and feel of the restaurant, I feel the changes to the menu and the increase in prices, plus the 4% surcharge made this not worth the money. While the food was good, it wasn't outstanding and if I am going to pay that much I would rather go next door. Table side quac was awesome per usual!!! Thanks to the guac guy! View is spectacular BUT Food was not right. One dish went back as it was cold. No one had a fab dinner. All the flavors were mixed up. And there was no salad offering. I'm sorry I chose it. My friends were not impressed. It was a nice night out to dinner! Gourmet Mexican/Spanish fusion experience. The food was all great, but the paella was the one dish I was disappointed in! More like a mushy rice than a paellla! This was my third time having dinner here, and it will be my last. There is nothing good about the food here, other than the coconut margaritas. The entrees are not good, and are extremely over priced. $34 for expensive Mexican food that isn't even good...there are a million other Mexican restaurants in San Diego that offer better, less expensive food. I ordered the carne asada, and even though I was told it would be medium-rare, it came out like a charred piece of shoe leather. When I mentioned this to the waiter, he tried to say, "yeah...well, it's carne asada." I was replied, "I know what carne asada is supposed to taste like, I live in San Diego." The ONLY thing I will miss about this place is the AMAZING view. If you are going to go to this restaurant, just do margs & apps in the bar area, and skip the entrees. Very disappointing for a Cohn Restaurant. Fairly underwhelming experience. The food while pricey was mediocre in my opinion as well as the opinion of several of the other diners in our party. Service was slow. We sat outside which had a great view of the city, but it was very loud which made it difficult on my parents. I would not recommend this place for a meal. Maybe go have a drink and enjoy the view but get dinner elsewhere. This is my second visit to Coasterra and it will be my last. The only thing good is the view but the food is terrible (very dry, small portions) and way overpriced (for either quality or quantity). 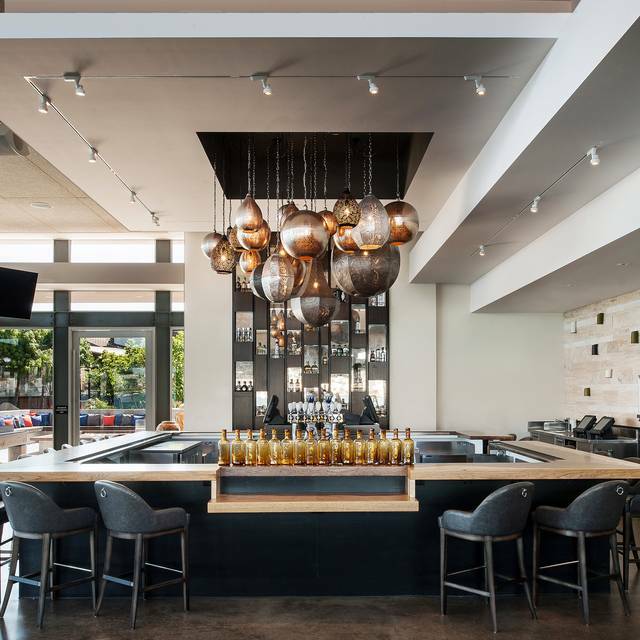 In addition, this restaurant (and others in this prominent San Diego chain) feel it’s acceptable to add a 4% surcharge to their already obscene pricing, while also requiring $8 Valet Parking. Almost any California 24 Hour Taco stand is a better choice for Mexican food. GREAT VENUE WITH AWESOME FOOD AND CHELSEA OUR WAITRESS WAS GREAT! The food and service were excellent. I had hoped for a table on the patio, or a little closer to the water, but we were facing the building next door to the south and the reflection off the building was blinding. It is noisy inside. It was my son’s 30th birthday and it was a family affair, so it would have been nice to converse with everyone, not just the person next to me. The view is to die for the food was so so. I've been here before and had a great experience. Both of our food was not warm. I had the tamales chili verde. Which appeared to be a piece of string cheese covered with masa with a verde sauce topped with mushrooms. Not a fan. It was overall great! No complaints here. Our entire night at Coasterra was amazing, from the valet to dessert! We got our table before we could even order drinks at the bar and to make up for not having the entree that we wanted we were given a free dessert which was very delicious. The atmosphere and hospitality were exceptional, I would definitely recommend to everyone. Had a wonderful time celebrating my friends 50th b-day. Out waiter Tommy was outstanding. 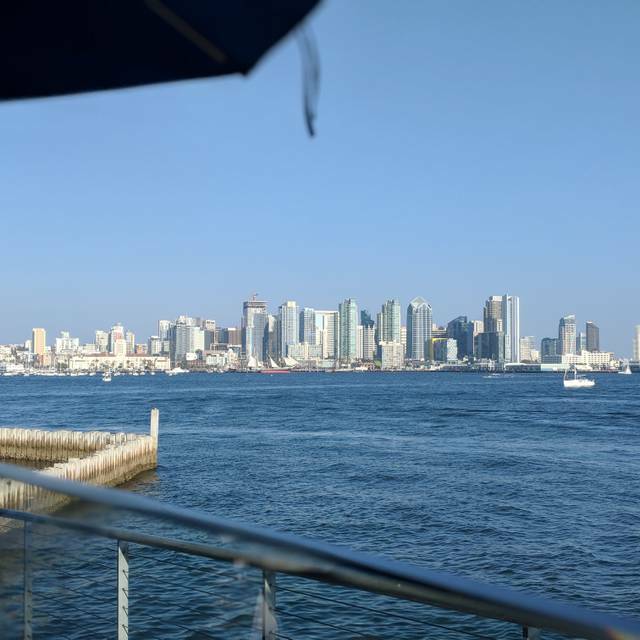 Gorgeous view, beautiful restaurant, great food and drinks. Would definitely come back! It was for my Birthday day. With my reservation, they were able to sit us down early without our whole party being there. Our server, Amber was the best and gave great recommendations for drinks and food! Go for any reason, it’s worth it!! Great scenery, good finger food. Also tons of tables,have never had an issue with seating. We came to dine for friend’s get together to celebrate two of our friend’s birthday (belated celebrations). We order 3 appetizers, one didn’t come in until after we received our main course. Did not offered refill of our chips and salsa. I was a bit disappointed because my first time at Coasterra brunch, it was awesome. Will try again next time, we’ll see if they can meet the customer satisfaction. Food was average at best, the ceviche was the best thing we had. The scallops were ok, the macho salad was not good- way overloaded with jicama. You should go for the view, which is incredible. Way over priced and the service wasn’t very good, our server didn’t check in for over 30 minutes after we ordered drinks and appetizers. Beyond the view, I was not impressed. Great Restaurant to celebrate our Anniversary! The view was outstanding form any location at the restaurant. We got a big table outside at the patio and regardless of being a group of 12 the service was excellent. The cuisine is fantastic a very spacial taste of fine Mexican modern style. 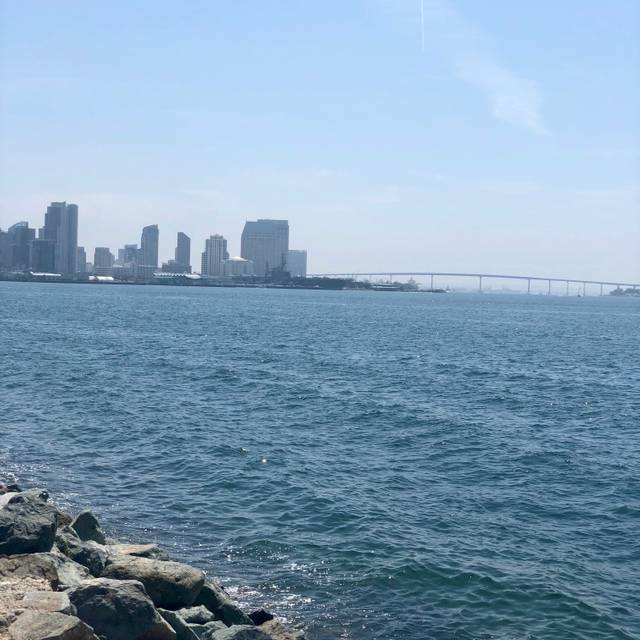 I was so excited to try Coasterra while enjoying a beautiful view, but I was very disappointed and will not comeback or recommend to friends. The food was okay, apparently it was the first day with the new menu. I got the scallops and pork belly, it was good but not great for the price and the service. I didn't get our server's name, but she was one of the worst. I was a server in college so I know how hard it is to serve on busy nights. However, this girl took FOREVER to do everything. I ordered my drink, she came by 20 minutes later and said "your drink should be coming soon." I let that go cause I figured she was busy. We got seated at 6:50pm, but our food didn't arrive until close to 8pm. I understand if the kitchen was busy, but she never came by to acknowledge us while waiting or ask if we wanted drinks or water refills. Overall, the service was horrible. I wish I had gotten this server's name, she was a short lady with an accent. If you go (highly recommend not to), make sure you don't get this short lady as a server. The new menu with everything gluten free was wonderful. As a gluten freer I was delighted. Everyone enjoyed their meals. The appetizer did come after they served out main course though—not good. They gave it to us at no charge. Very slow service, food was not hot and the staff seemed to be completely unconcerned about our experience. The party barge pretty much destroys the ambiance. The menu is outstanding. Great appetizers, salads and entrees, as well as specialty margaritas. The breathtaking view of downtown San Diego after sunset is a bonus. 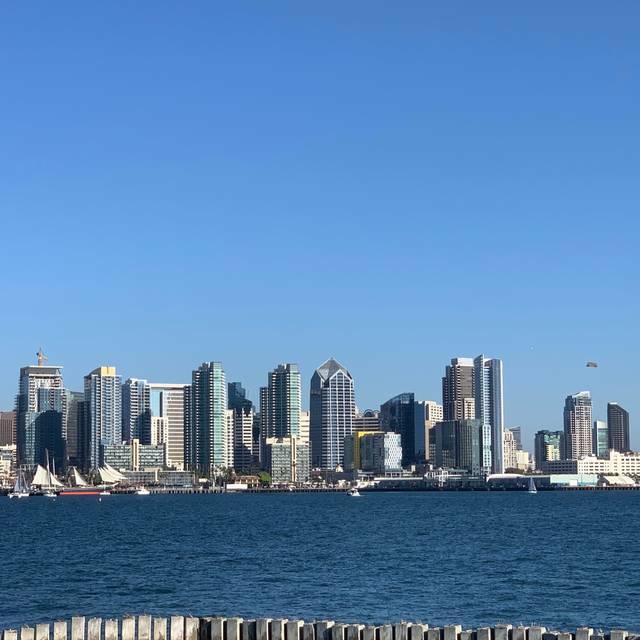 Live in San Diego, always a great venue to take out of town folks, show off San Diego. Beautiful day and evening. I'm not real fond of the dinner menu...prefer lunch menu. Would prefer more choices for small plates to share. Always great ambience and with added activity in the harbor, 2 cruise ships left during dining. My spouse was given the wrong entree. He chose to keep, it looked so good. Our guests enjoyed the dining experience. Always one of my favorite in San Diego. Great food, drinks and view. Our waiter Kyle was absolutely outstanding! Sunday breakfast is apparently the best time to go. Normally it's pretty load, but it was perfect. Highly recommend the breakfast Quesadilla. Service and ambiance was great, but the menu was limited and my food was much too spicy. Food VERY mediocre for the price. Service great. View great! A great dining experience with fabulous food! The scallops are a MUST! Did not seem to read (or care) about our table preferences that we left on Open Table. Portion size of shrimp lettuce wrap was small. Ahi tostado was much better. Generally indifferent 'factory' restaurant service. Fantastic view and wonderful wait staff. We loved it! I’ve been here several times and they’ve now changed the menu to only expensive entrees that are not very Mexican themed. I liked this place when it was enchiladas and taquitos - not lobster and tri tip steaks that are $50-65 (lobster was $65). The service was also extremely slow. It took 10 minutes for our sever to greet us and another 20 to get our drinks. All the food was meh except the pineapple butter cake which was delicious. Come for the view and a drink and maybe that cake but there are many better places to eat for a much better value. I ordered the fish and chip tacos. I can’t say I enjoyed them as the outside coating was fine but the fish was barely cooked. The malt vinegar string potatoes weren’t great. It’s a drag leaving any restaurant hungry. I wish you’d consider offering more entrees (not salads) that aren’t spicy at all. I want flavor but no heat.